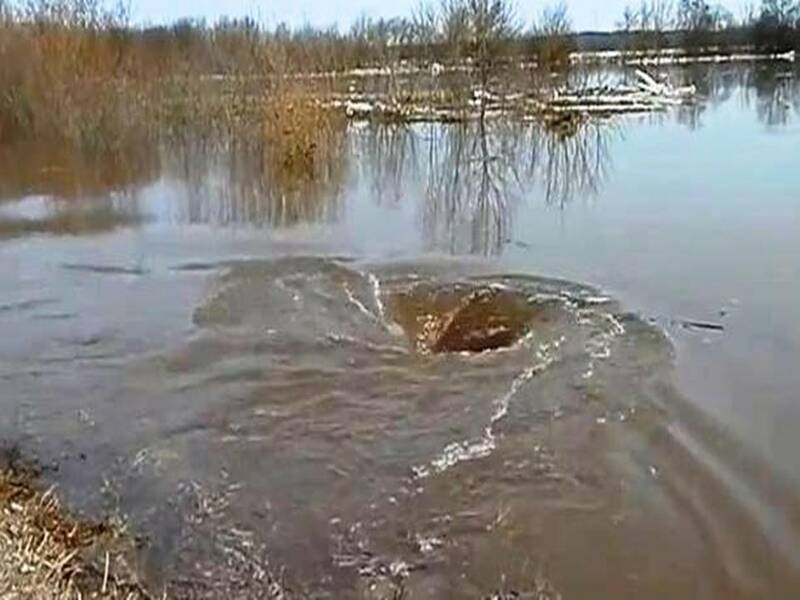 Monstrous whirlpool in parish Dviete, Latvia near the banks of the Daugava River, swallows everything in its path. Swallowing everything dragged towards its direction, this monstrous whirlpool looks as if a plug has been pulled from the ground beneath. Huge chunks of ice? Gone. Floating islands of debris? Annihilated. Whirlpools in nature occur as a result of fast moving currents meeting one another in opposite directions. 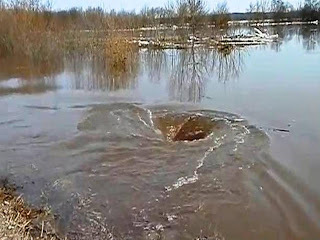 The whirlpool in Latvia has been formed by water from the swollen river flowing into an inlet on the upstream side of a bridge. All of the debris is funneled under the road on which spectators are standing and flows downstream. According to the European Federation for Rural Tourism, Latvia's Dviete river valley, where this video was filmed, is home to a massive wetland during flooding season.